The contribution to the competition designed by Stephan Schwarz in cooperation with Simon Oberhofer and the support from Ondrej Chybik, Andreas Goritschnig, Rudolf Kozlai and Ulrike Tinnacher called “BLOQUE PARTI” was selected among 42 projects and awarded the first prize in 2008. 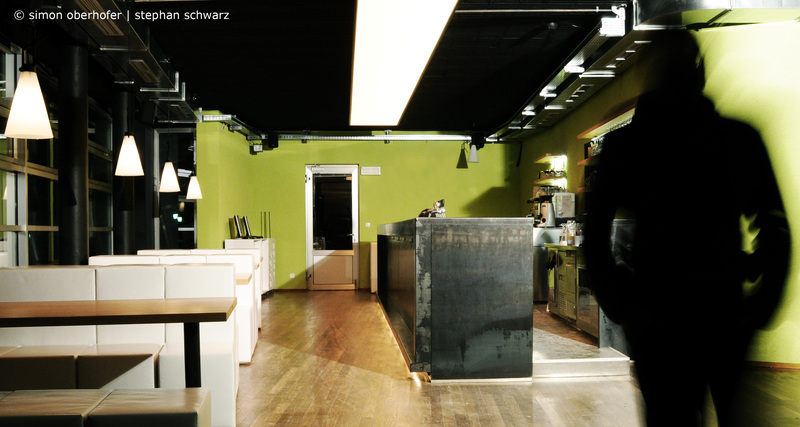 The key question of the competition for the re-design of the UFO Café in Bruneck, Italy was how to design a flexible spatial scenario for the different uses of the Café / Bar. The concept of the project proposed flexible furniture in combination with a fast changing lightening system. A green wall should unify the different areas of the Café / Bar and create a new identity for the space. This green spine connects the interior with the exterior and even inspired the new logo which was designed for the UFO youth center. 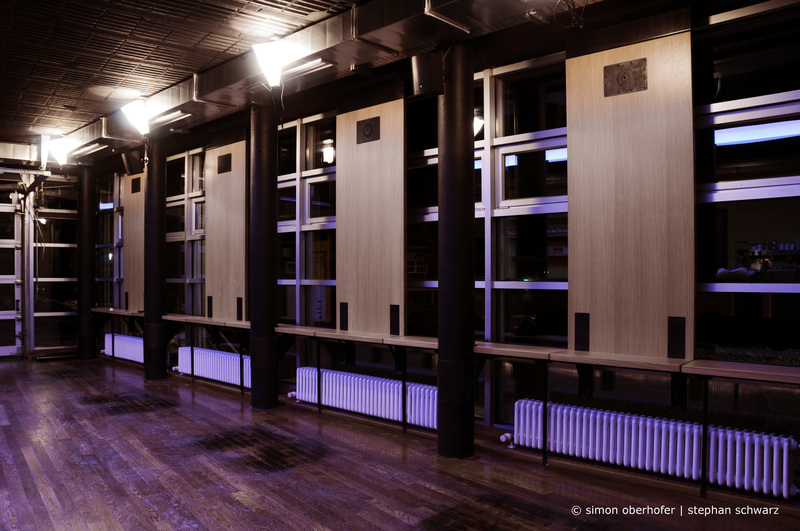 The exterior spaces were re-shaped to ensure a better access to the Café / Bar and to create an outdoor amphitheater space for multiple events. The easy adaptability of the interior furniture composed by cubes as seats and benches in combination with the huge folding tables turned out to work very well in the everyday practice of the UFO Café. The LED lightening system strengthens the ambiance of the different uses in the Café / Bar and serves as a strong design element at the ceiling. 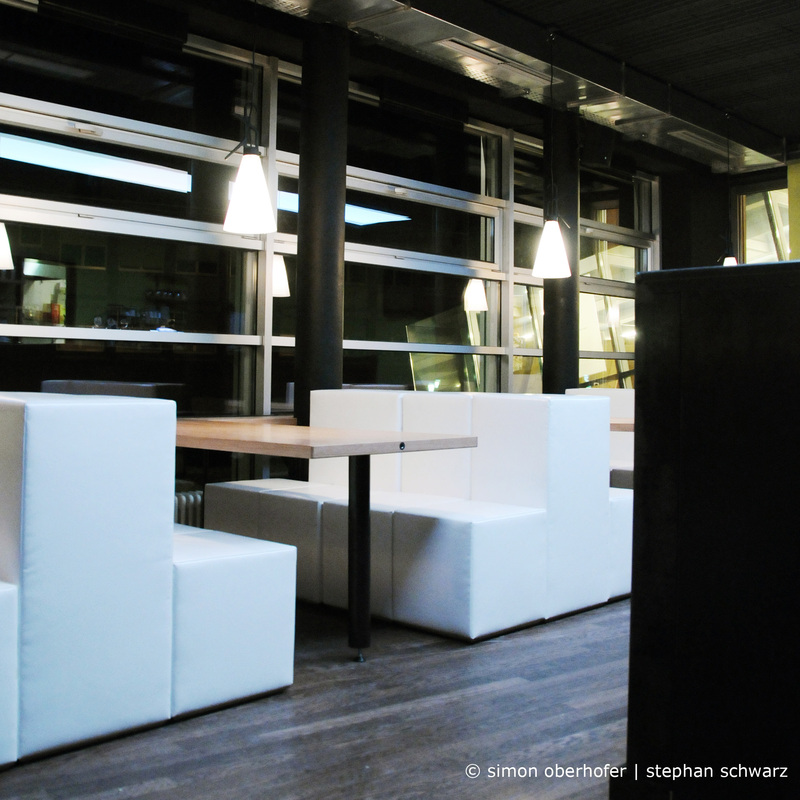 The realization of the UFO Café redesign was planned by Stephan Schwarz in cooperation with Simon Oberhofer and built by students of the Landesberufsschule Bruneck and their teachers. The exterior spaces were planned in cooperation with the local architecture office Seidl. In December 2008 the re-designed UFO Café / Bar opened with a big party and is well functioning since.